Having mastered the most challenging tense of all in Latin, the present tense, learn the future and imperfect tenses, which are governed by simpler rules. Practice the active and passive forms in all four conjugations. 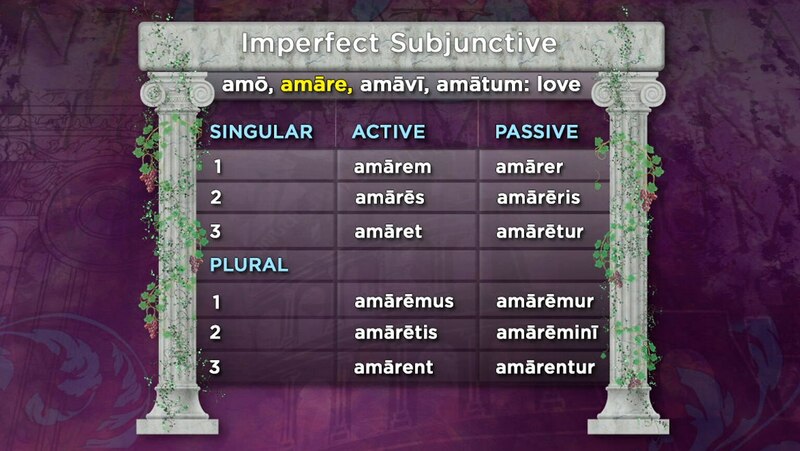 Also encounter the imperfect subjunctive.